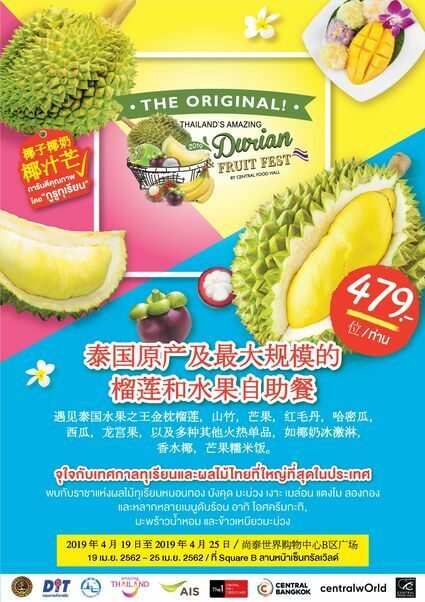 Thailand´s Most Visited Fruit Festival "The Original Thailand´s Amazing Durian and Fruit Fest 2019" Back for the 4th Round for Durian Lovers! Get ready for the best quality seasonal fruits and durians!! 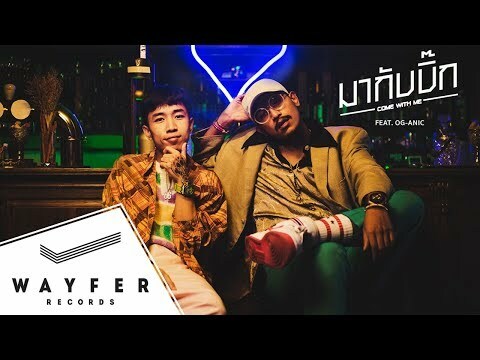 Central Food Hall and Tops join forces with Department of Internal Trade – Ministry of Commerce, Tourism Authority of Thailand and CentrakWorld organizing the 4th year of "The Original Thailand´s Amazing Durian and Fruit Fest 2019" between April 19 – 25, 2019 at Square B and C, CentralWorld. Farmer´s Market Zone: quality seasonal fruit produces from local farmers and social enterprises including Pa La-u Monthong (Golden Pillow) Durian, Koh Chang Chanee (Gibbon) Durian, Monthong Durians, Kanyao (Long Stem) Durians, organic mangosteen, Siam Ruby Pomelo, well-known fruit and vegetable products, souvenirs and gifts along with packing services for travelers.